Home > Household Deals > Target Sale | 30% off Furniture – Today Only! 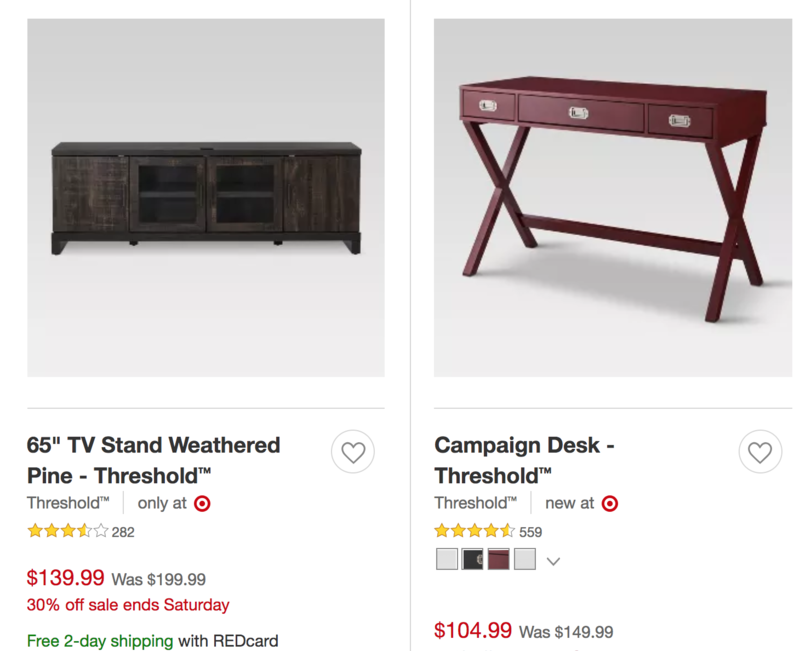 Target Sale | 30% off Furniture – Today Only! Target.com has a fun sale today only! You can get 30% off all home office, and entry way furniture. Think tables, book cases, desks and more. There are a ton of cute things! Small accents can be a great way to spruce up a dated room without spending a ton. Shipping is free with your REDCard or with a $35+ order. The deal ends tonight, 9/29.